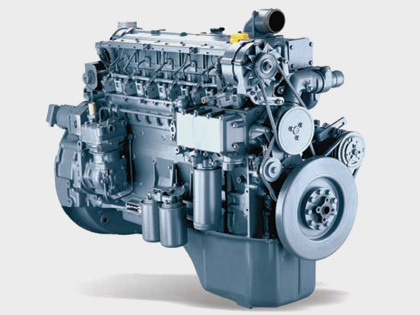 The German company Deutz AG has been producing engines for more than 130 years. Its emblem on diesel engines and gas engines is evidence of the highest quality of products, in which the rich experience of several generations of talented German engineers and technicians is accumulated. The range of power units offered in 2001 includes dozens of basic models of motors for various purposes with a power from 4 to 7,400 kW. The long way of Deutz AG to today's achievements begins in the distant 1864. We will get acquainted with its main stages, especially since in the history of the firm there were mutually beneficial contacts with our country. So, the year 1864-th. German designer and inventor Nikolaus Otto, one of the first creators of an efficient internal combustion engine, gets acquainted with an entrepreneur from Cologne, Evgeny Longen, a very wealthy and technically competent man, and inspires him to create a company that would manufacture industrial combustion engines-atmospheric gas engines. Longen helps Otto to obtain a patent for the engine and conducts a "wide advertising campaign", demonstrating the motor at many exhibitions in the Old and New World. Finally, in 1867, the sample was awarded a gold medal at an exhibition in Paris, and interest in it reached the level at which it was worth starting its production. In 1869, launched a large plant near Cologne, in the suburbs of Doitz. The new enterprise is named after the names of its owners "Longen, Otto and Roosen". At the same time, the license for the production of the internal combustion gas engine of the English company Crossley is being sold. So, in the Old World a new compact energy source appeared on the market, ready to compete with bulky steam engines. In 1872 a new technical director - Gottlieb Daimler (the future inventor of the car) was appointed to the reconstructed enterprise, and Wilhelm Maybach - the person no less legendary in the automotive industry - became the head of the design department. The company receives the new name Gasmotoren-Fabrik Deutz AG and expands the scope of application of engines. In 1879 Nikolaus Otto successfully completes the experiment to create the world's first four-stroke engine with compression of the fuel-air mixture before its ignition - the prototype of most modern gasoline engines. Encouraged by the success, the enterprise is again being reconstructed and preparing for a new round of development, despite the departure of G. Daimler and V. Maybach from it. In 1886, Otto received his Ph.D. from the University of Wurzburg and, together with Robert Bosch, developed an electrical ignition system. So, working engines that consumed a gasoline mixture, appeared. They are compact, fast and affordable. And all this, thanks to the pioneer of engine building, the company Deutz. In 1896, the history of the automobile industry begins. At the same time much more powerful gasoline engines began to be installed on railroad locomotives. However, the technical department of the company was not asleep. In 1898, a fundamentally new engine was constructed and presented to the public, having compression ignition. In honor of the author, Rudolf Diesel, he was called a diesel engine. A new era in motor-building began. By 1907, the design of the first sample had been worked out and patented; It was possible to start the production of diesel engines. Their consumption increased, and the size range expanded. After the short-term production of Deutz-Bugatti cars (1907 - 1912) with the participation of the very creator, Ettore Bugatti, who worked in the company from 1907 to 1909, the management turned its eyes to the tractors. The first machine of its own design came off the assembly line in 1924. The model was called Deutz MTN 222 and was equipped with special pulleys for driving agricultural equipment. At the same time, different types of engines were produced - for cars and trucks, rail cars, as well as industrial engines that were sent to other companies. Since 1921 the company was officially called Motorenfabrik Deutz AG. In 1938 - the next transformation. Having acquired new plants, the company became known as Klockner-Humboldt-Deutz AG (KHD). 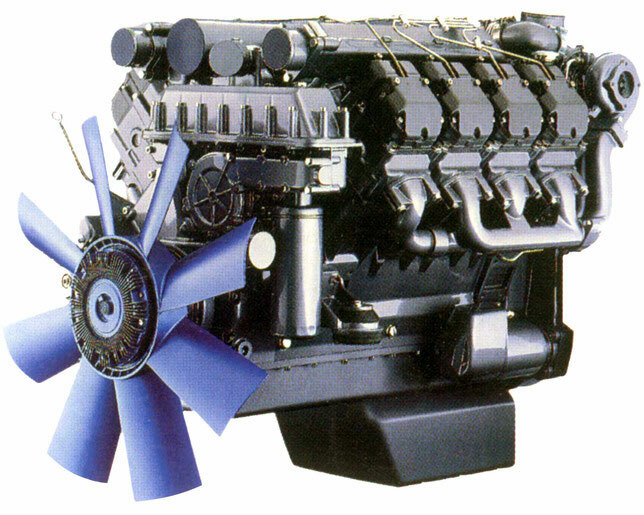 In the same year, its technical department developed another novelty - the first diesel with air cooling. However, soon everything changed abruptly. The bombing of factories by aircraft of the USSR and its allies destroys 74% of the entire industrial potential of the concern. It was, as can be easily guessed, in late 1944 - the first half of 1945. A new stage, called "restoration of former grandeur," began in 1949. It was then that management decided to resurrect the production of agricultural tractors with air-cooled diesel engines. The goods were dispersed in the market instantly. Gradually, together with the tractors, the production of trucks and buses began, which bore the brand of Magirus-Deutz and was considered one of the best in Europe. By 1964, a new Technical Center was built near Cologne, which increased the competitiveness of the structures being built. Machines with the KHD brand (dump trucks, construction chassis, diesel engines) have been exhibited many times since 1964 at exhibitions in Moscow and have been evaluated by domestic experts. When the construction of the Baikal-Amur Mainline began, Deutz AG received an unprecedented order for the supply in the USSR of 10,000 (!) First-class dump trucks that formed the basis of the contractors' car fleet. Striking, but true: some of them are still on the go. After the purchase of the USSR, the license for the right to produce Deutz diesel engines with air cooling, the specialists of the German company together with Russian engineers did a great job of conducting full-scale tests of the motors on trucks Ural-375D, the ones for which they were intended. The design of the diesel engines was fully adapted to operation at temperatures from -40 to + 40 ° C. The work was carried out in 1966 - 1980 gg. As a result, a plant was built in Kustanai (now the Republic of Kazakhstan), designed to supply several tens of thousands of motors per year. It was not possible to launch this enterprise before 1991, and then the Soviet Union did not. However, the experience gained in researching diesel engines under extreme conditions has benefited both Deutz specialists and ours. In 1975, the brand Magirus-Deutz disappeared from the automobile directories of current products. The truck and bus division was part of IVECO, a multinational concern controlled by FIAT. And the company Deutz AG continued to engage in engine construction and tractors. In 1978, the production of a 4 millionth internal combustion engine was commemorated in the year 1867. The next such event occurred only in 1989. And also in connection with the release of a 4 millionth diesel engine, but only with air cooling. Their production began in 1944. In 1995, the department for the production of tractors and agricultural machines was sold to the Italian company Same Group, and the firm Deutz AG focused on where it started: the engines supplied to a wide variety of manufacturers. "Everything has returned to normal." However, the history of this amazing company does not end there ... There are still many interesting projects ahead of it, among them ... the organization of the assembly of Deutz diesel engines in Russia. Were you surprised? Nothing surprising. We need good diesel engines, and Russia needs Deutz AG. That's all.